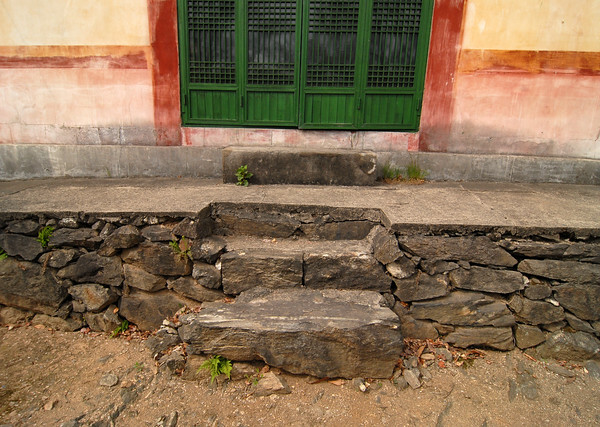 Sunday Photo; steps to an old, neglected Darma Hall – Wake Up and Laugh! Next Post Guide to Korean temples. and look, a little green has already made its way upstairs to the door. new life, unassuming like the place itself.